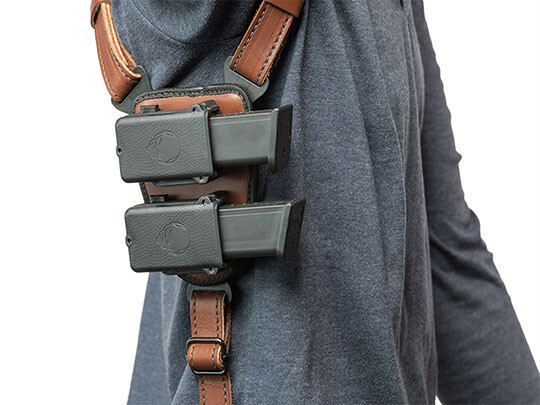 Even a Glock 26 shoulder holster must carry comfortably. This aspect of concealed carry cannot be neglected, even for subcompact pistols like a Baby Glock. 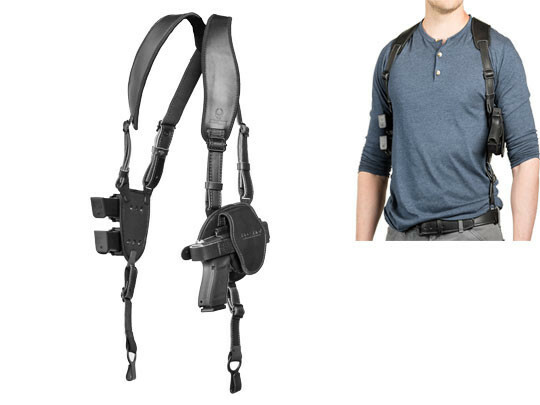 That has led a lot of people to try a shoulder holster only to never wear it again. 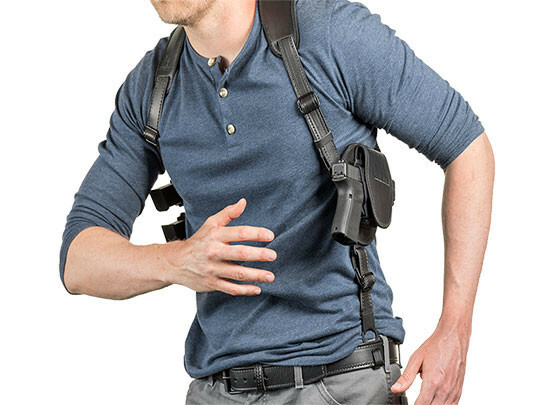 We think that with a properly designed shoulder holster, Glock 26 carry should never be uncomfortable. That you should get the fit and carry position that you want, and that you should never worry about fitment or retention with the pistol. That is exactly what our shoulder holster is designed for. The durable leather straps have generous adjustability, to find the perfect setting. A clover harness on the back ensures the straps articulate and wear comfortably. We also pad the front straps with our CoolVent neoprene, to make sure you stay comfortable while carrying. 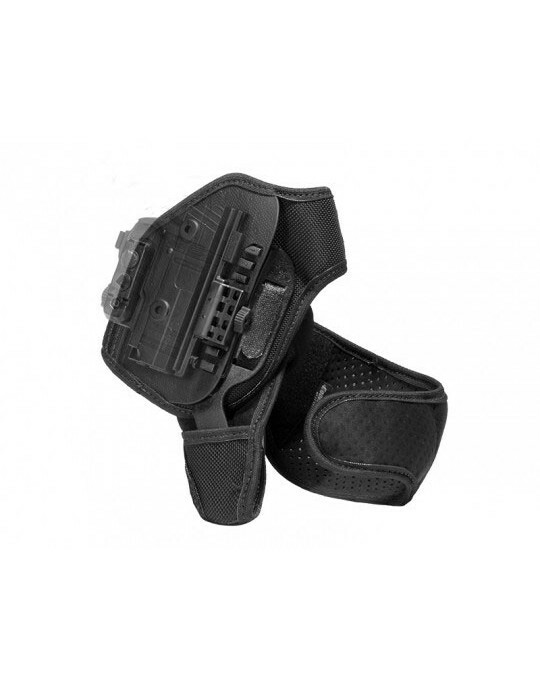 The holster itself can be adjusted for ride height and grip cant. 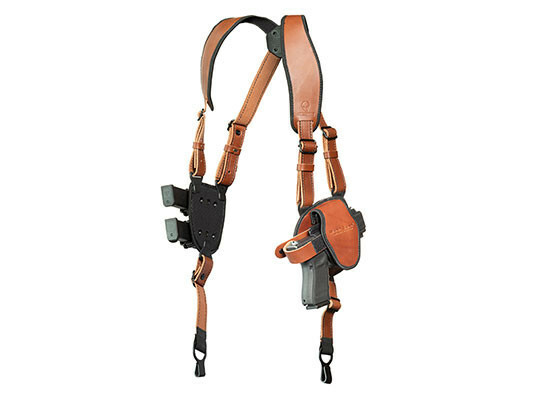 Carry this Glock 26 leather shoulder holster at a horizontal or vertical orientation, or in between if desired. 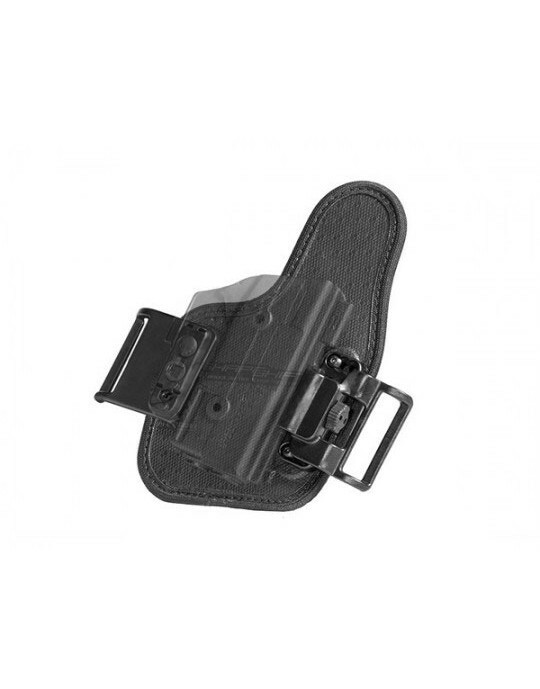 The included belt hooks anchor the holster in place, ensuring a secure carry, better weight distribution and make concealment easier by holding the pistol tight to the body. 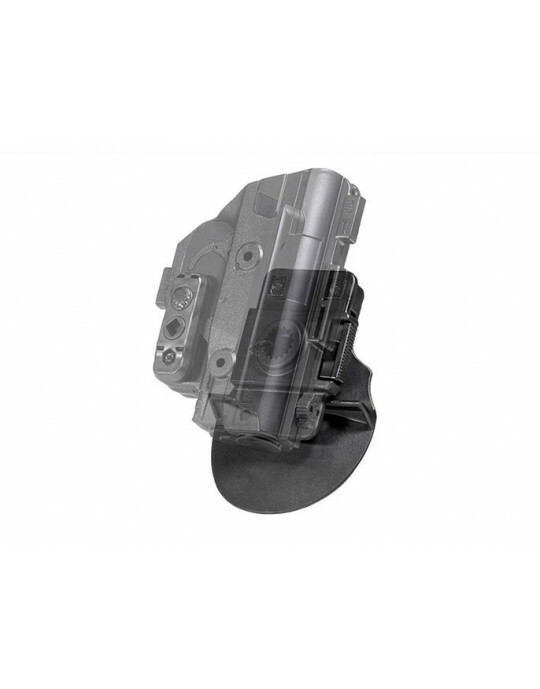 Passive retention is fully adjustable. 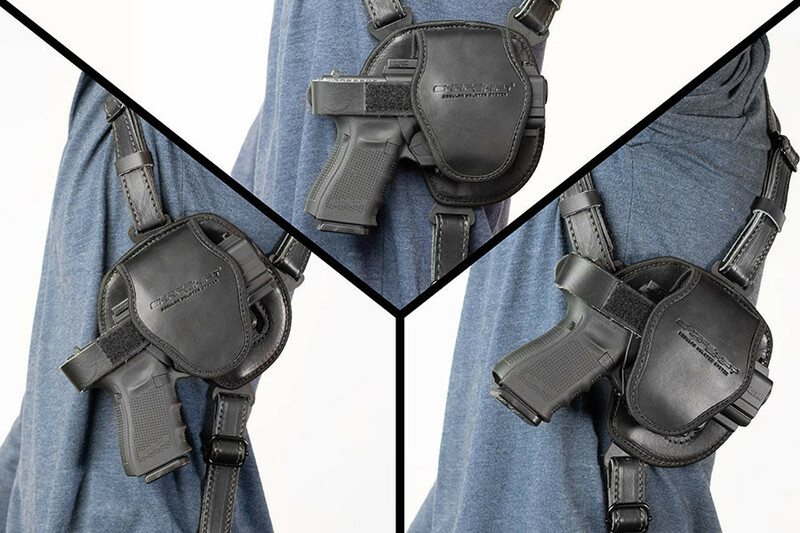 You also won't have to worry about fitment, as this Glock 26 shoulder holster is custom-molded for the 26, and the ShapeShift shell fully wraps the trigger guard. We also include a thumb break strap, which can be removed by the wearer if so desired. 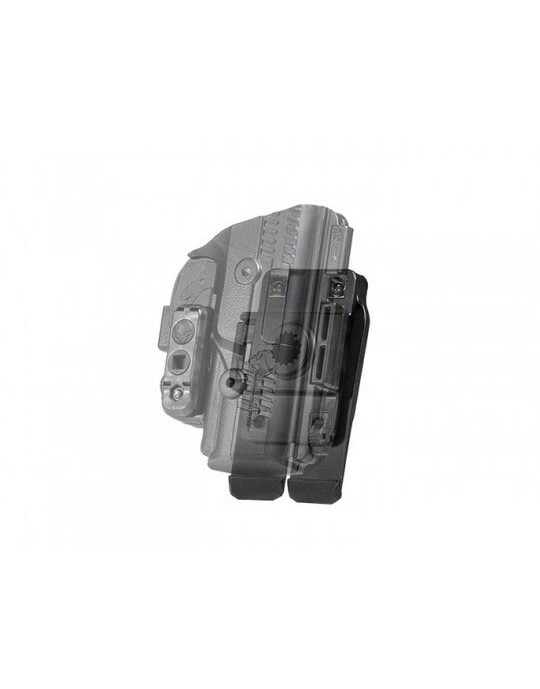 No other shoulder holsters for Glock 26 pistols gives you this degree of customization. 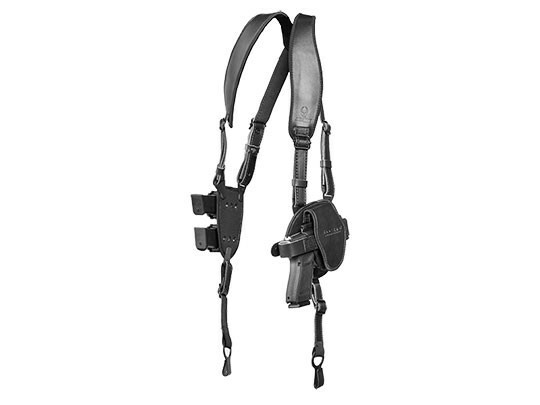 No other shoulder holster for Glock 26 pistols is designed to carry this well. And no other holster company will give you the same kind of product guarantee as Alien Gear Holsters. 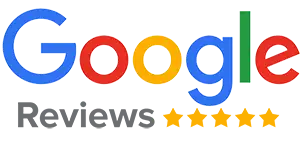 Start with our 30 Day Test Drive trial period. 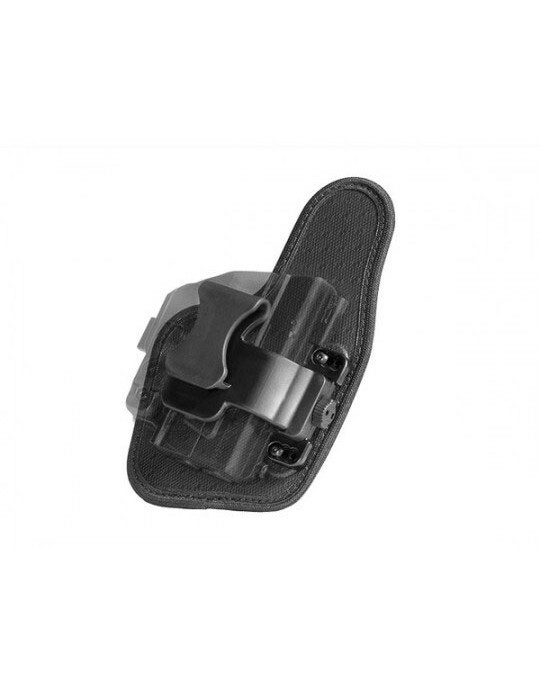 Take the first month of ownership to wear the holster and see if it's to your satisfaction. Return for a full refund within that time if not. 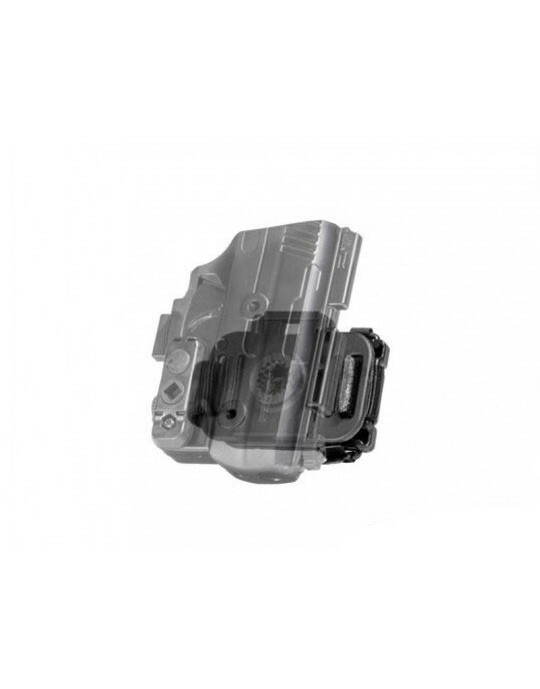 We also fully warranty this holster for life, against any defects or damage. If you'd like to find out just how good shoulder carry can be, get your test drive started today.